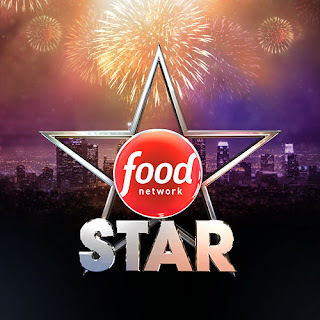 Contestants must be willing to travel to a location determined by Food Network for 6-8 weeks in January/February 2016. So filming is usually 6-8 weeks for the show, and considering there are usually about 11 episodes, that equates to shooting 1-2 per week. Later in the rules, it says filming days are usually 10-12 hour (or more) days on your feet. "render applicant exclusive to FOOD NETWORK for a pre-determined period of time (meaning that applicant would not, among other limitations, be able to appear in programs in any media, make public appearances, publish a food-related book, or be associated in any manner with any commercial, advertisement, and/or endorsement without FOOD NETWORK's express written permission in each circumstance); and (ii) give FOOD NETWORK the option, at FOOD NETWORK's sole election, to exercise the right to have applicant appear as a host, co-host, or contributor to FOOD NETWORK programming or use applicant's name, image, and/or likeness in FOOD NETWORK programming, merchandising, or other ancillary media (including a food-related book at a rate of compensation and in accordance with such terms and conditions that shall be determined by FOOD NETWORK in its sole discretion)"
I imagine the actual release and agreement form has much more information and restrictions. The last rule makes it seem like the Food Network will pick the winner again for season 12 and America will not get a chance to vote. Other things of note on the JS Casting site, is that they are casting for Beat Bobby Flay season 8, and they are already casting for a second season of Chopped Jr. before the first season has even started. They are also casting for a Kids BBQ show, but it doesn't say if that is for Food Network or another channel.